The need of speed, the thrill of the rush, and the always sought-after craving for what the road has to bring – these are all some of the best motoring dreams that every driver has chanced upon his or her life! 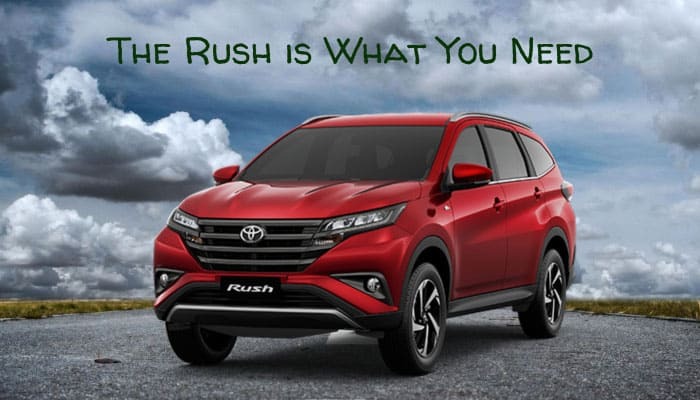 And if it’s a thrill or a rush you desire, look no further than what the Toyota Rush has to offer! 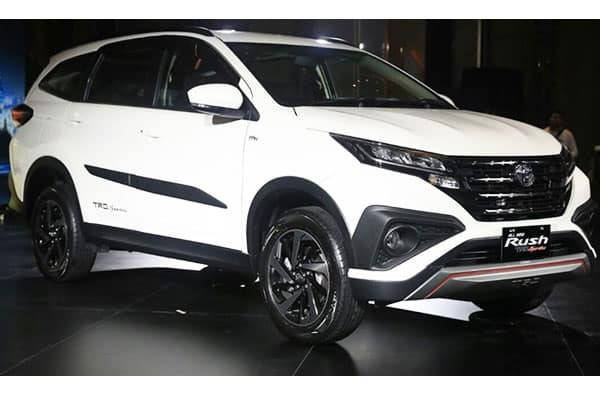 Originally manufactured as the Daihatsu Terios last 1997, this mini SUV which Toyota took over can very well be the vehicle that will provide motorists from all driving styles that rush that they both deserve and need. Such is the case, even among other Toyota Models, is that the Rush can uniquely stand on its own and even match up to its counterparts in the market. But what makes this SUV such a thrill to drive? Let’s count down the various details that make this car such a rush to be in! First and foremost, the Toyota Rush delivers quality performance that won’t burn a hole in any driver’s pockets. Prices, of course, differ per region. But what can be observed, no matter the location the dealership is, is that a Toyota Rush car definitely won’t break the bank! Since we can’t give a precise price now, please make sure to constantly visit our site for more updates! Now, more into technical details on this car. Fuel efficiency can’t get any better in this SUV – the Toyota Rush’s petrol engine makes the most out of every liter, with approximately 14 to 15 km consumed. For diesel engine variants, you’d be maximizing your money on around 19 to 20 km per liter. This car is definitely going the distance, even when in a rush! For power output and torque readings, the Toyota Rush dishes out impressive numbers: a maximum power output of 67 PS has been recorded; 170 Nm, on the other hand, shows great torque. The SUV has been recorded to hit 100 km per hour in just 12 seconds, with a maximum speed record of 157 km per hour. And it isn’t just fast. Control and maneuverability is considered, with Toyota prioritizing driver control (which, of course, will result to better and safer drives). Some important aspects on control that this Japanese car manufacturer has incorporated into the Rush is the hydraulic power steering system and the customized suspension system. The hydraulic power steering factor helps motorists navigate the Rush at any speed; the impressive suspension system makes sure that the vehicle performs no matter what the road condition may be. And since we brought up the topic of safety, drivers are in for a delight with the various safety integrations that Toyota has placed in this vehicle. Related to driver control, the Toyota Rush’s brakes system performs wonderfully – drum brakes are found on the rear, providing an extra layer of security and comfort for drivers and passengers alike. Also, standard Toyota safety features, such as vehicle airbags, safety locks (otherwise known as child locks), vehicle stability control, pretensioners, and engine immobilizer are equipped within the Rush. Much style points should be awarded to the attractive interior that the Rush has. Beauty captured in a car, the Rush’s interiors brings about a spark on an “as-a-matter-of-fact” approach. Although not necessarily minimalist, the Rush’s design pulls out a great balance of form and function. Perhaps, it’s in the small details that make lasting impressions. Take a look at the Rush’s dash and door pads – the stitched inclusion of soft and hard textures creates a classy look; a subtle integration best noticed to be impressed at! Additionally, various infotainment features in the Rush’s interior brings in the functionality in the design. The car’s touchscreen, located in the dashboard, offers various entertaining and essential information one needs when driving. The car’s audio system also does not disappoint – drivers and their passengers are in for a surprise with the amazing sound quality from the Rush’s speakers! Space isn’t the problem in this SUV. More than the attractive and functional interiors that the Rush provides, motorists are assured as well that passengers are both safe and comfortable during even long trips! The Rush comes in 5 and 7 seats configurations, which offers potential owners the power to choose a model that will best suit their needs and preferences. Additionally, space-saving solutions are provided in the Rush. 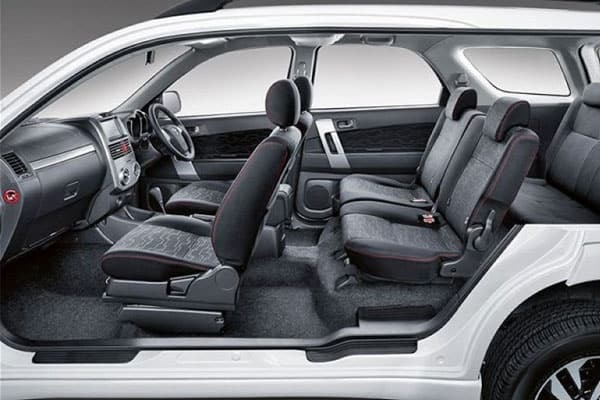 With adjustable seats, one can come up with several configurations to load up any sort of cargo, luggage, baggage, etc. This is turn means that the Rush isn’t only a fast ride – it’s definitely a flexible vehicle, able to adapt to the needs of its drivers. We hope that this article piqued your interest on the Toyota Rush. It is, after all, our desire for readers such as yourself to get to know more about possible cars that will provide you with the best mileage and experience. Let us know your thoughts on this vehicle by leaving a comment below!